The Galactic Co-Prosperity Sphere is the largest civilization humanity has ever seen and controls large parts of the known galaxy. As in any culture, a sport has emerged that entertains the masses and, to some extent, serves as a political stage. 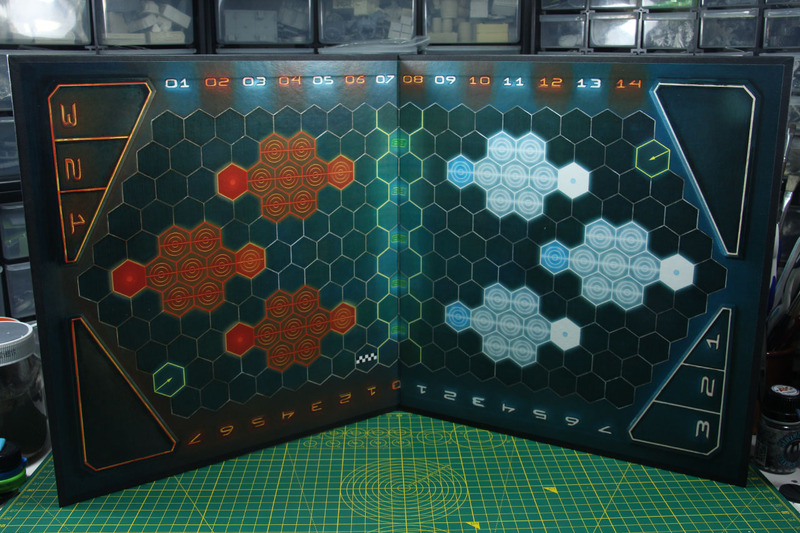 In Dreadball two teams are trying to get the dreadball into one of the three opposing goals hovering above the field called Strike Zone. The teams each consist of eight, six active players on the field and two substitutes. The turns are called rushes and a game ends after the 14th rush has been completed or as soon as a team scores seven points. The rules are kept nicely lean and explain the implementation of certain rules with the help of additional illustrations. The board is of high quality and even after frequent use shows almost no signs of use. The dice and the cardboard markers are as can be expected, so no novelty here, but you'll notice that they wear out faster than the field. 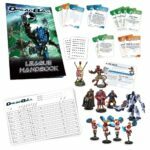 The miniatures must be assembled, which is certainly a shortcoming for board players, as most of them want to get started directly with the game. For tabletop veterans, the quality of the characters is probably the biggest downer. Although the design is really nice, the material is difficult to work with because it is the old resin-plastic mixture and for the mold lines you`ll not only need crafting knives and files, but in many cases also sandpaper to clean hard-to-reach places. The latter have an important role as all-rounder, as the Guards can not perform ball actions, while Strikers can not go into full contact. Jacks, on the other hand, can do both, but far less well than their specialized counterparts. Furthermore, they are limited in that they are not allowed to perform ball or contact actions during a movement. For example, a Guard can take a run-up and execute a so-called slam, while a Striker can pick up and throws the ball during his movement. Each coach can use five actions per turn. The coach may not use all actions for one player. Only a maximum of two actions per rush can be used by any player on the field, which means that another player will not receive any action at all. One way to compensate for this are so-called doubles. Each player receives three dice in his base pool to perform an action. 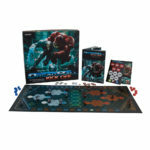 The value to be rolled on the dice is based on the stat values of the respective team and the position (Corporation player or Marauder, Guard or Jack, and so on). For example, if a player needs a 4+ to pick up the ball, it counts as a double when he has scored that value on two of the three dice. For this achievement, the player receives another, free action. The slams mentioned above can push an opponent, send them to the ground, or even to the substitute bank, depending on how hard he or she...or it is hit. Again, it depends on the stone-scissors-paper principle of the positions, as slammed players may choose how to react. 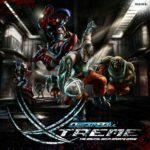 Either they defend themselves with a slamback in an equally brutal way, or if the attack is from behind, or the affected player is a Striker, they can evade the attack. Also the lineup during the game already contains a profound tactical element. As we mentioned earlier, there are only five actions per rush and if a coach manages to get the ball into one of the three opposing strike zones, the teams will not be repositioned. The ball is simply thrown in at the middle as at the beginning of the game and the players have to cope with their current position. 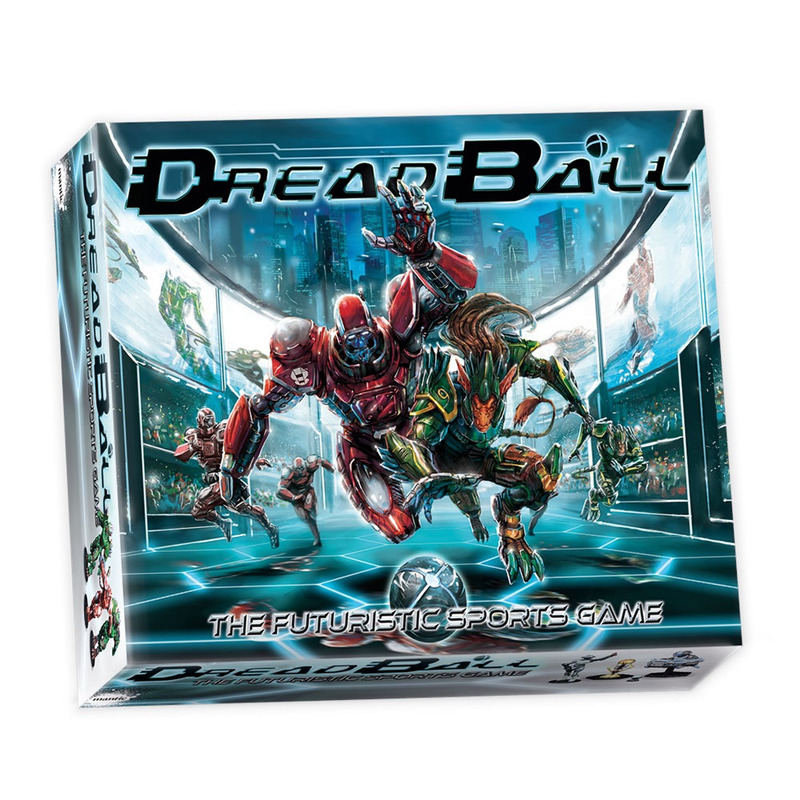 Dreadball plays in a closed arena, allowing the ball to bounce off not only the players on the field but also off the arena walls. This opens the door for trick plays and usually requires keeping at least one player in the defense so that the team doesn't suffer a Landslide. A Landslide? Counting the points works a bit different for Dreadball than for other games. For example, if team A achieves four points, it is 4-0. If team B succeeds in scoring three points, as the Strikezones give different amount of points, it will be 1-0 for team A. If a team scores seven points it is 7-0 and the game ends immediately. The Landslide thus corresponds to a quick victory, before the end of the match. 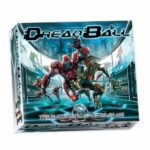 Dreadball has seen many expansions over the past six years. 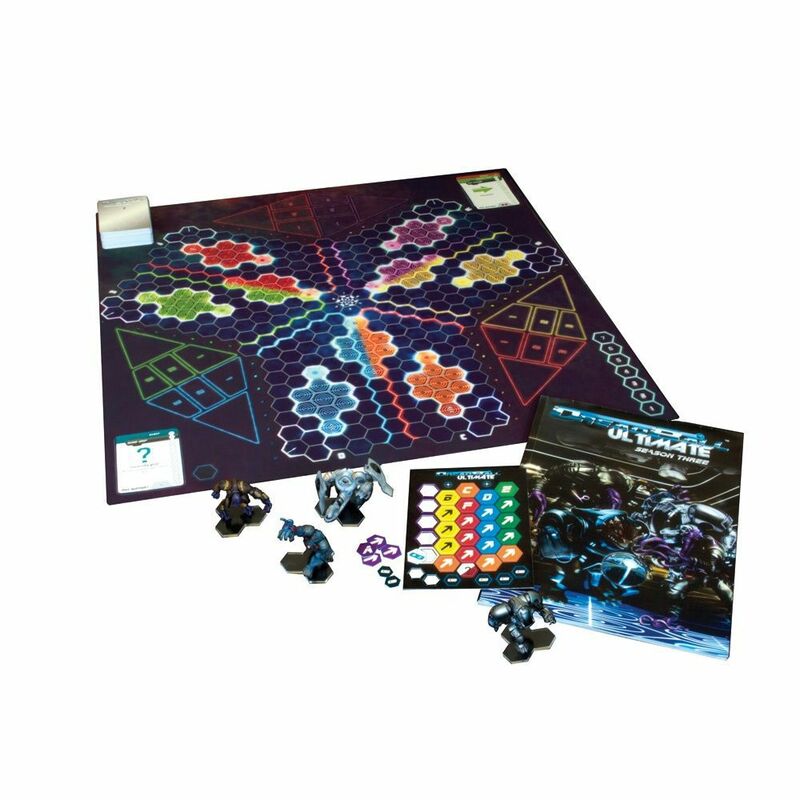 The Galactic Tour Expansion extends the game to rules for a league, while Dreadball Xtreme is a variant of the game played in the intergalactic prisons. 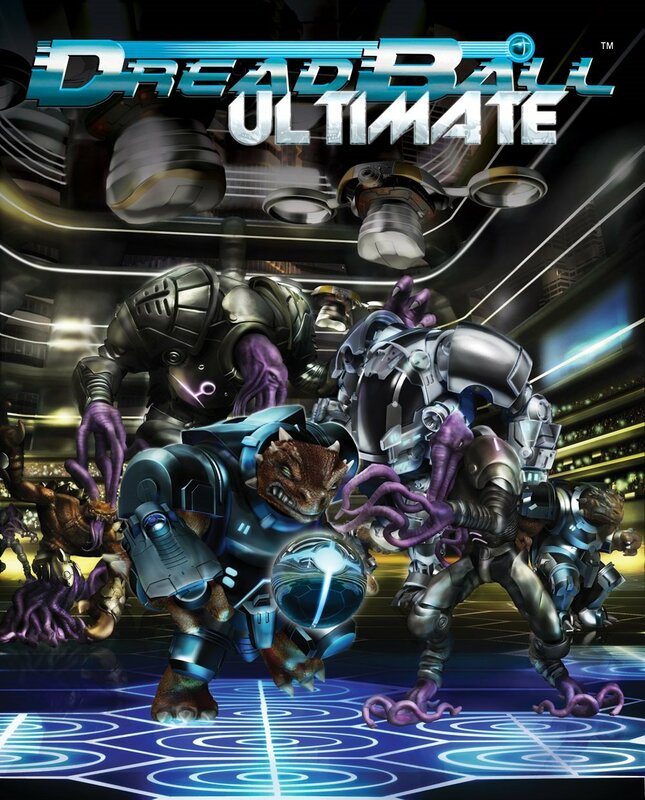 Ultimate Dreadball, on the other hand, stays within the classic mechanics, but allows more than two players to compete against each other. 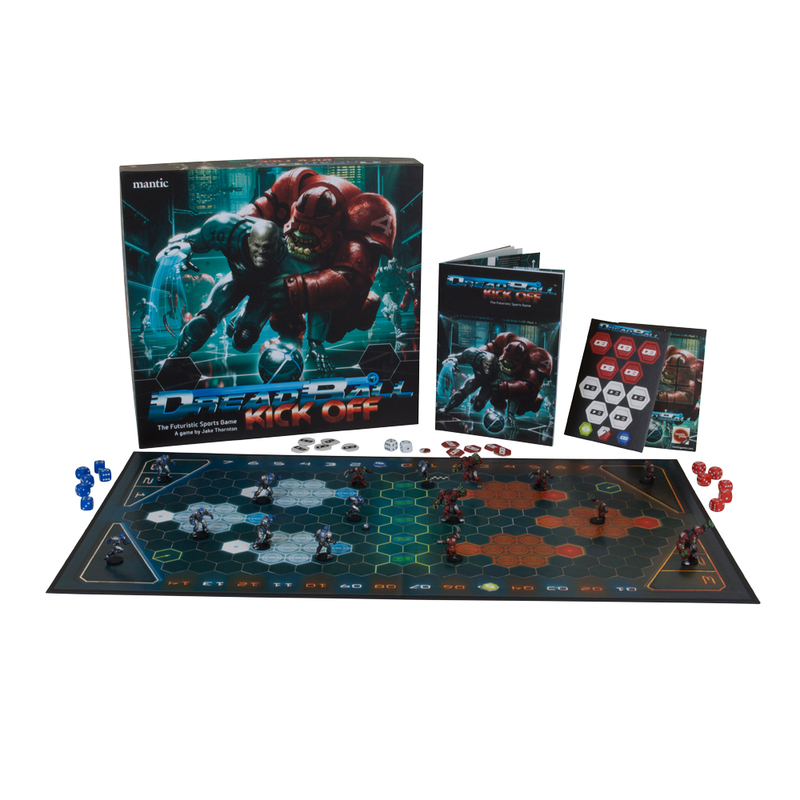 If you played the basic game for a while, the use of referees, action cards and particularly polarizing players, so-called MVPs, upgrades Dreadball to its full extent. Although this is not necessary, it brings a little more RPG elements, and serves the slightly more flufforiented player well. Meanwhile, Dreadball is in its second iteration and has launched Dreadball 2.0, a larger, more immersive gaming experience for the fastest arena sport of the future (to be seen in the next review). With a current price between 20, - and 30, - Euros you get an up to an hour-long gaming experience for little money, which is particularly suitable for short games in between, or to make new players familiar with Dreadball. Personally, I'm a big fan of boxes that contain everything because they are great as mini-projects. This is where my big downer comes through though, because I do not just like to play games, I also like to paint the models and there is some room for improvement left. The cast is quite washed out in some places, so you sometimes have to guess at what you are currently painting and the models are due to the difficult material hard to clean of the moldlines. It's really a pity, because the design of the models is fantastic and perfectly captures the flair of a fast SciFi sports game. 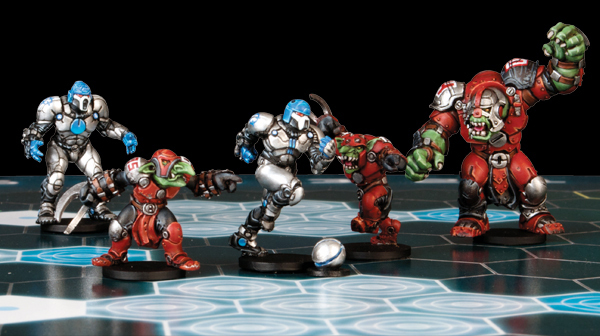 But Mantic is working on that and we'll talk about that in the next Dreadball issue, when we take a closer look at version 2.0! A little note at the end. 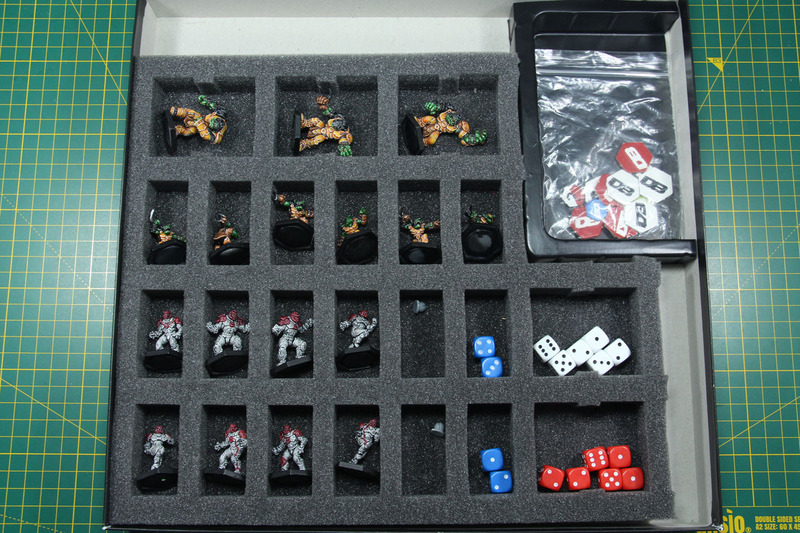 I modified my own box of Dreadball with a foam inlay, so that the painted minis don't fly around loosely. 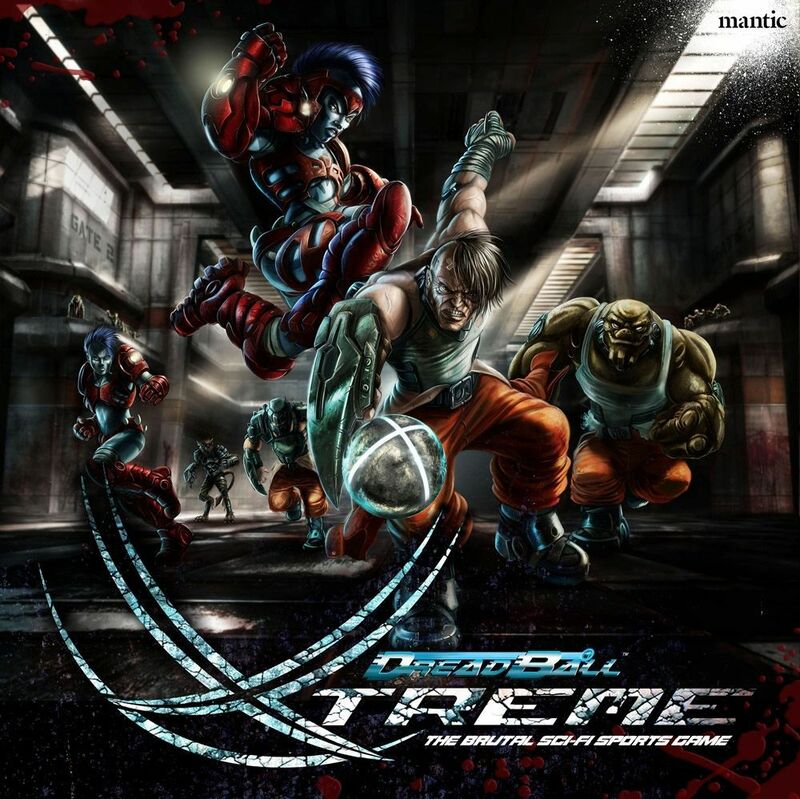 In the long run, it is worth considering to provide the released games with an inlay of a similar kind. 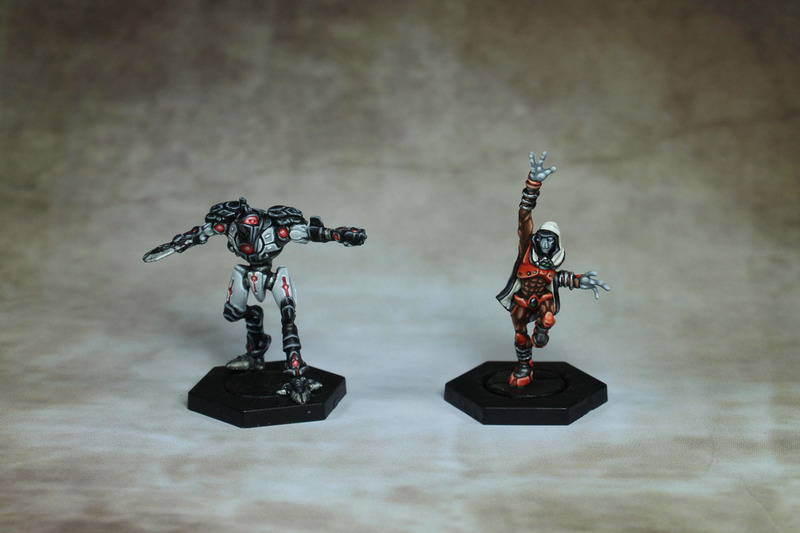 Not only does it give the product a high-quality feel, it's also a step towards the more painting oriented players.